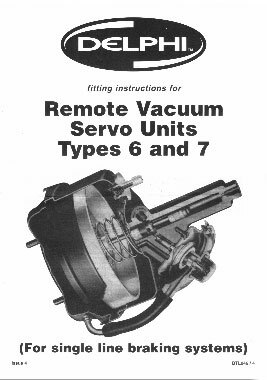 In order to reduce the pressure needed at the brake pedal, a Delphi Lockheed aftermarket Remote Vacuum Servo was fitted between the battery and the washer bottle but it was a tight fit (see below). Later versions of the GT6 Mk3 had a Girling servo fitted, but it is no longer made, good second hand ones are like hen's teeth and even these are likely to be expensive and require complete refurbishment. On page 2 of the fitting instructions it states (in bold) "N.B. Delphi Lockheed do not recommend the use of silicone fluid in any Delphi Lockheed products." Reluctantly I was going to go along with this, and use non-silicone DOT4 fluid. However I sent an email to Automec, and got the following response: "We have had this for years with Lockheed but there is no reason to not use DOT5 (silicone) fluid in the system as one of their technical director's confirmed with us several years ago off the record!" To see a copy of their email click here. 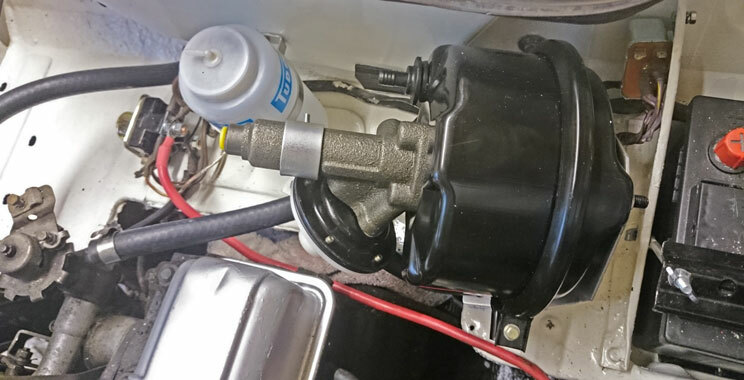 I am going to use silicone fluid in both the brake and clutch systems, as it's benefits are considerable: "It maintains it's boiling point of 260 degrees which is higher than DOT4 glycol. It does not need to be replaced and does not catch fire easily. It slows down corrosion of the other parts in the system due to the lack of moisture in the fluid and never needs to be changed."